Encoding Method: QuickTime to AVI Conversion using this guide. Encoded using StaxRip and x264. H.264 playback instructions. 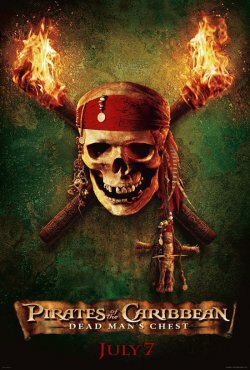 Johnny Depp, Orlando Bloom and Keira Knightley reunite in Walt Disney Pictures', in association with Jerry Bruckheimer Films, "Pirates of the Caribbean: Dead Man's Chest," an all new epic tale chronicling the further mis-adventures of Captain Jack Sparrow.